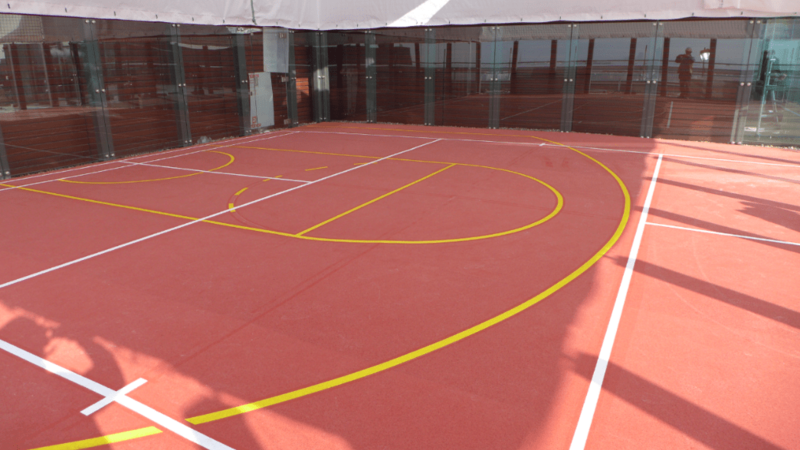 When we were approached to install a basketball court floor on a London rooftop the challenge was to install our Athletic & Multisport system on top of a prepared concrete slab. This is easy enough at ground level however this was on top of a newly built high rise office block over looking the city of London. 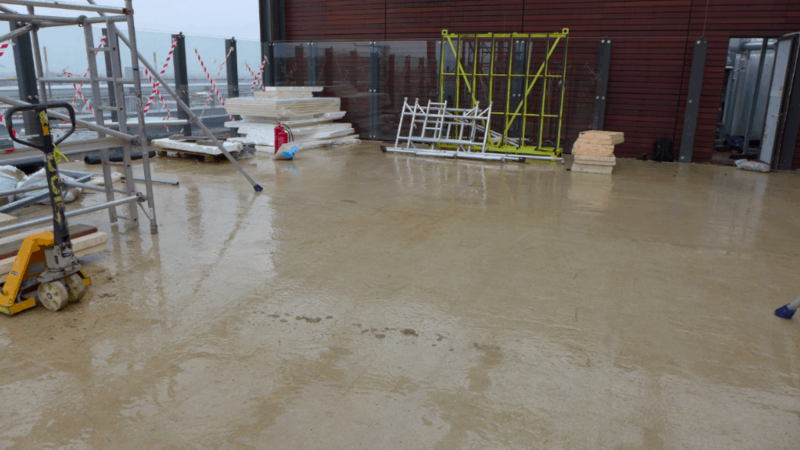 As with all outdoor installations the weather was to play a vital part in the success of this install. Surprisingly for us we picked the best two days of the year so far to carry out this install. 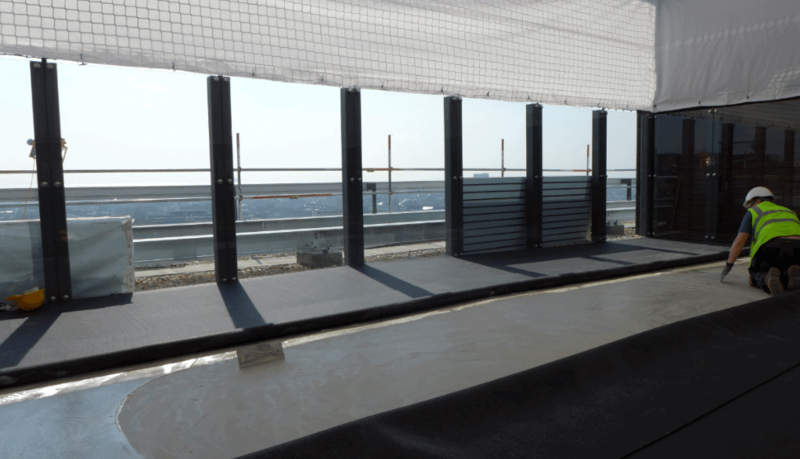 The system specified is a 2 layer system 11 mm thick in total. Set to a fall that will allow surface water to drain quickly to ensure play in almost all conditions.